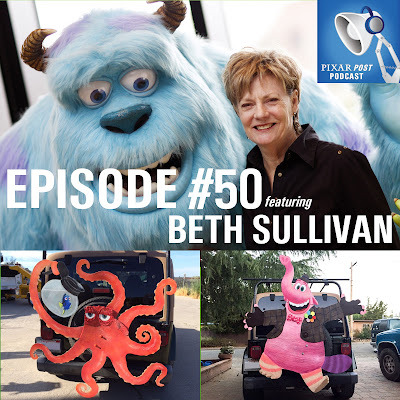 In episode 050 of the Pixar Post Podcast we chat about Dory's reach to $1 Billion dollars, Dory deleted scenes, Lee Unkrich's impromptu Twitter Q&A session (we summarized the most intriguing responses), our website re-design and much more...but, the gem of the episode is our interview with Pixar employee, Beth Sullivan (Administration Manager of the Studio Mastering Department). Kicking off the show (as usual), we put Julie to the test and ask her some Pixar-themed quiz questions...but for episode 50, she turns the tables on T.J. and asks a few questions of him as well. At 6:00 into the show we talk about Dory's reach to $1 Billion...and beyond. 9:58 - We summarize and provide insights into Lee Unkrich's Twitter Q&A session — with a few Coco details. 24:36 - Back to Finding Dory, we chat about some recently revealed deleted scenes which will be part of the Blu-ray & Digital release and talk about Andrew Stanton's comments about the scenes removal from the film. 31:19 - There have been a slew of fantastic Pixar products recently and we chat about some Pixar pajamas, a new WALL•E screen print by Tom Whalen and more. 36:49 - The main feature of the podcast is our interview with Beth Sullivan and her wonderful metal artwork of many of our favorite Pixar characters. Read more about this amazing artwork — including viewing photos of each character piece. 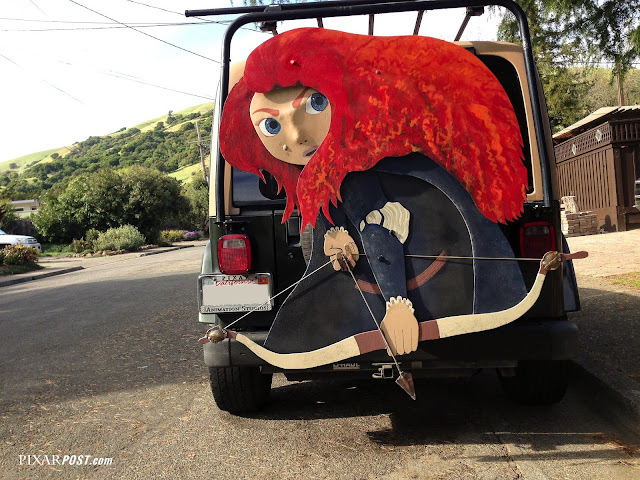 In episode 50 of the Pixar Post Podcast we chat about the latest Pixar news and interview Pixar employee, Beth Sullivan, about her fantastic metal fan art characters she affixes to her Jeep.